Sip and see the historic distilleries where Jack Daniel’s and George Dickel Tennessee whiskeys are made in this behind-the-scenes experience. Join for an insider look at the craftsmanship behind two legendary spirits makers and toast to whiskey history. Each ticket includes guided transportation, a southern-inspired lunch, and all tours with tastings. Your day is planned from start to finish so you can dive into Tennessee’s rich distilling history. We take care of the reservations, admissions, timing and itinerary so you can sit back and relax. We know that you’ll make lifelong memories you can’t wait to share. 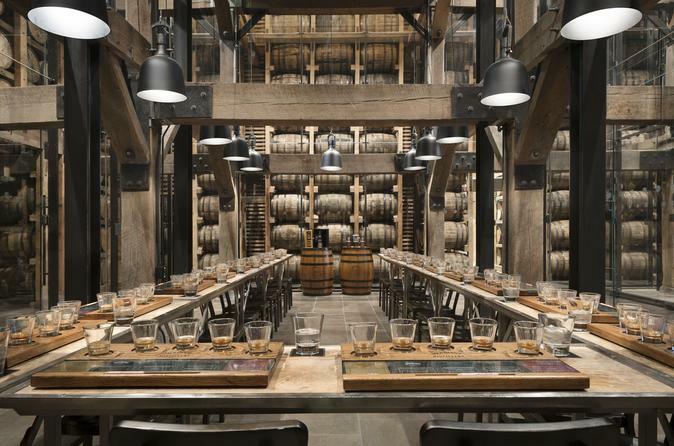 Travelers meet at the Omni Hotel in downtown Nashville and venture to Lynchburg, Tennessee to learn about the world’s top-selling whiskey at Jack Daniel Distillery. Located 90 minutes outside of Nashville, this historic distillery originated the Lincoln County Process, which filters whiskey through charcoal, and has been distilling Jack Daniel’s Tennessee Whiskey since the 1880s. You'll tour the distillery, get a taste of its iconic whiskey products, and have a chance to explore Lynchburg before departing for your next stop. Gain expert insight, fun facts, and more Whiskey 101 from your guide in between destinations as you travel on a safe and comfortable bus. A southern-inspired lunch at a local restaurant is included along with all admissions for tours and tastings. You'll also travel to see the old-school processes behind George Dickel Distillery in Cascade Hollow. Learn how George Dickel Distillery makes whisky its owner believed to be as good as some of the world’s best scotches. This old-school Cascade Hollow distillery was built in 1870 uses ‘chill-mellowing’ and single-story warehouses to consistently craft its signature brand. This Tennessee Whiskey Trail adventure returns to Nashville at approximately 6:30 p.m.